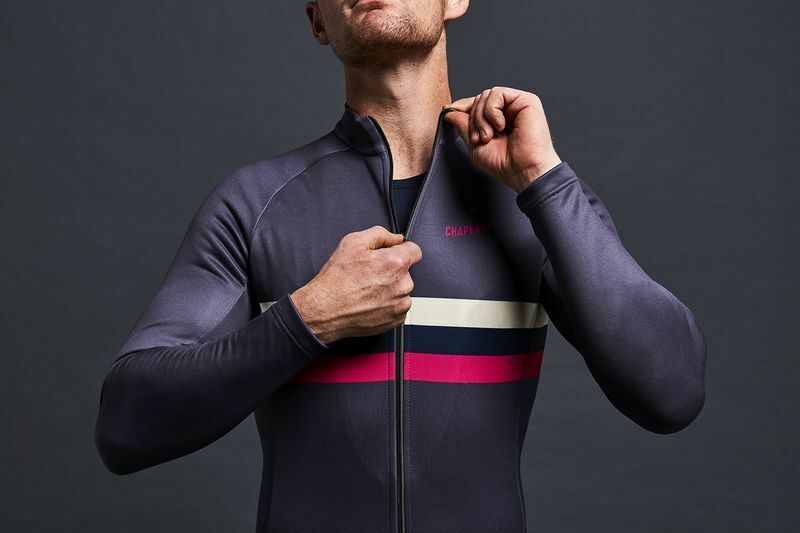 The little brother to our Club jersey, the Tempo Thermal is a warm, comfortable and stylish 3-seasons jersey that combines great features and a great price. Made from luxurious fleece backed fabric in a variety of classy designs, the Chapeau! Thermal Tempo jersey is a must for powering on into winter and out the other side. The Tempo jersey looks good and works without hassle. Wear it as an outer layer when short sleeves just won’t cut it or add a base layer when the temperature really starts to dip. For the bleak midwinter, it’ll hide cosily under an outer shell to keep your layer-game strong. The Tempo jersey is soft on the skin, it’s quick drying and built to block the wind whilst staying breathable. It has three large yet supportive rear pockets for your gear and a silicon gripper to help keep things help in place. There’s also a subtle reflective badge to help keep you safe in the dark. The fit is on the slim side when worn over a base layer. If you prefer a looser fit or bit more room for extra layers we suggest ordering a size up. 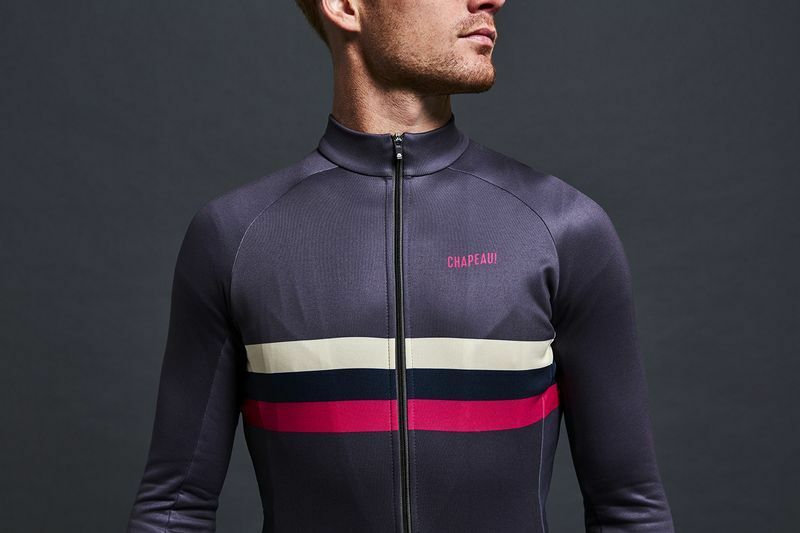 The Tempo jersey is the little brother to the Club jersey, designed to keep you warm and comfortable at a slightly lower price. Upgrading to Club gets you a DWR water resistant finish and a few nice touches such as zip guards and a a water resistant, zip-up pocket. 3 large but supportive rear pockets provide plenty of stowage space, a gripper helps keep things in place and a reflective rear badge with subtle branding is the cherry on the top.